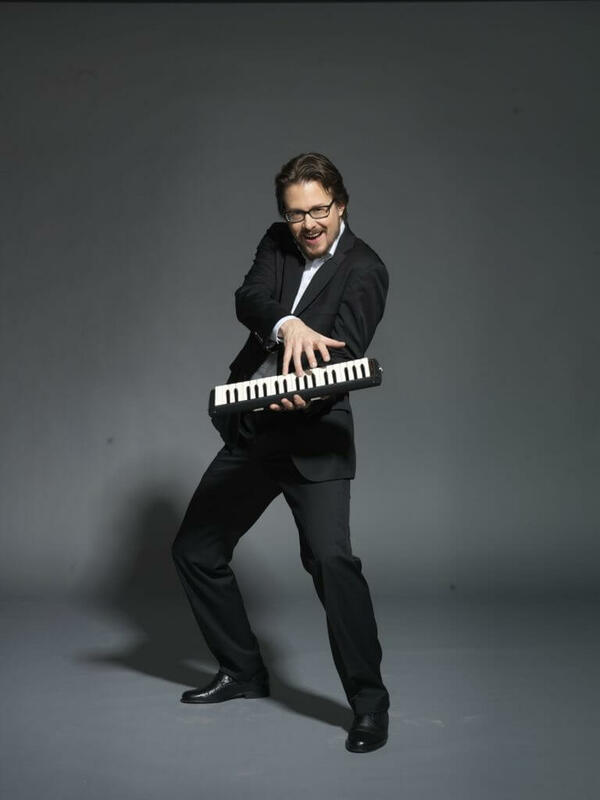 Renowned of his versatility and phenomenal improvisation skills, pianist and composer Jukka Nykänen (b. 1976) is one of the most multifaceted artists on the Finnish musical scene today. On stage he is equally at home behind the keyboard and as an active show performer and actor. After graduating from the Sibelius Academy in 2004 Jukka Nykänen gave his Debut Concert in 2006. His first solo album, Pianovirtuoso, (2007) was received with critical acclaim and was marked by the Helsingin Sanomat newspaper as one of the best releases of the year. As an orchestra soloist and as solo artist Jukka Nykänen has perfomed in Finland as well as in Germany, Japan and USA. He has extensive experience with vocal and theatre music as a pianist, composer, arranger and conductor. The Finnish Broadcasting Company’s live concert broadcasts have made Jukka Nykänen a popular commentator and expert nationwide. His profound knowledge of classical repertoire and exceptional ability to open up the essential of the pieces with played examples guides the audience to find the intriguing and sometimes hidden details in music. Jukka Nykänen has composed music to several theatre plays and musicals. He is a member of The Fabulous Bäckström Brothers music theatre ensemble. In 2014 Jukka Nykänen was awarded the Finland Prize by The Ministry of Education and Culture.